Sabará Group, with more than 60 years of history, is a genuinely Brazilian company recognized by its innovation and adaptation capacity. For over three generations, the Group surpasses challenges and outstands within its operation markets. Its commitment with well-being of the people all-around of the world goes beyond offering innovative products and services. Its activities take into consideration the future generations, with focus in solutions that ensure the sustainability. 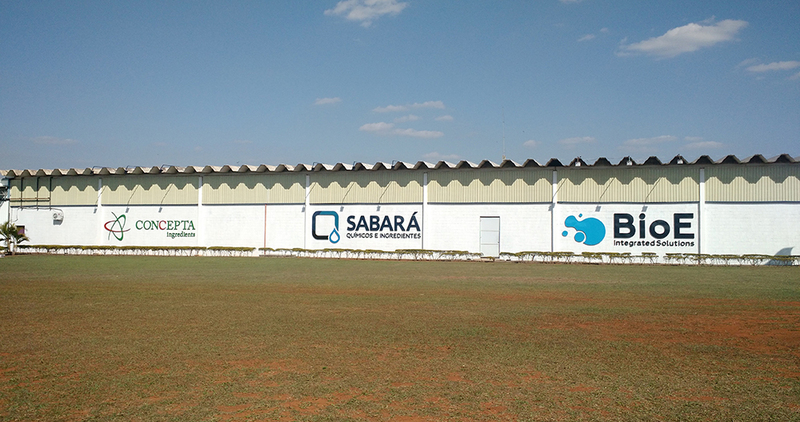 By means of its several fields of activity, Sabará Group acts throughout the national territory and has distribution in more than 40 countries worldwide. The company is specialized in the development of high-performance technologies, solutions and raw materials, targeted to the markets of water treatment, cosmetics, nutrition and animal health and to food and beverage industries. The development of its products counts on 100% domestic knowledge and technology, this factor contributes for Brazil to become reference in research of products for the sake of a sustainable world. To deliver innovative and sustainable products and services by incorporating traceability, safety and quality in all processes, thus adding value to our clients, suppliers, communities, employees and shareholders. To set a benchmark in technology, innovative and sustainable products and differentiated services for Nutrition, Health and Beauty markets. • To understand and serve our clients and employees in their needs with a flexible and customized approach.